Curlfriend Janelle Monae's sound and style are the perfect storm of innovation, creativity and talent. The video for her latest single, "Electric Lady" is an amazing display of these elements. Hanging out with her naturally gorgeous Electro Phi Beta friends, she lets her curly tresses loose, in a clever juxtaposition of advanced technology (amazing product placement by Samsung) against vintage automobiles and the ageless, feel-good concept of friends partying with friends. 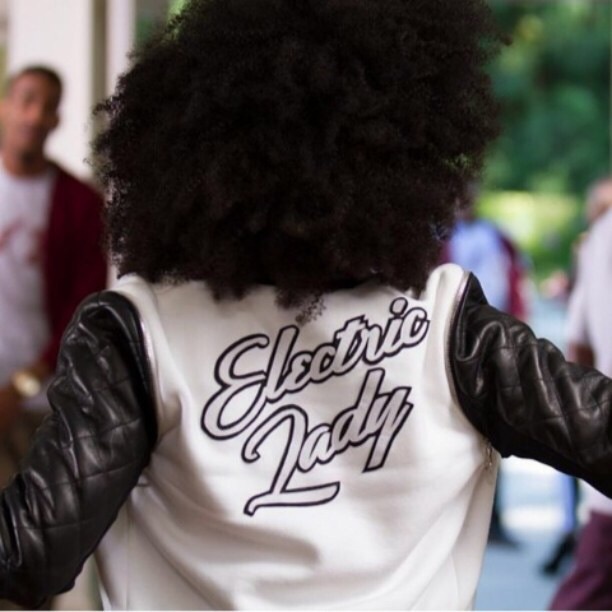 We're too excited to see Janelle like this - in all of her natural queendom and electricity, free flowing fro and southern swag. We love and salute you Electric Lady!